Submit entries by Friday, April 19. See details below. 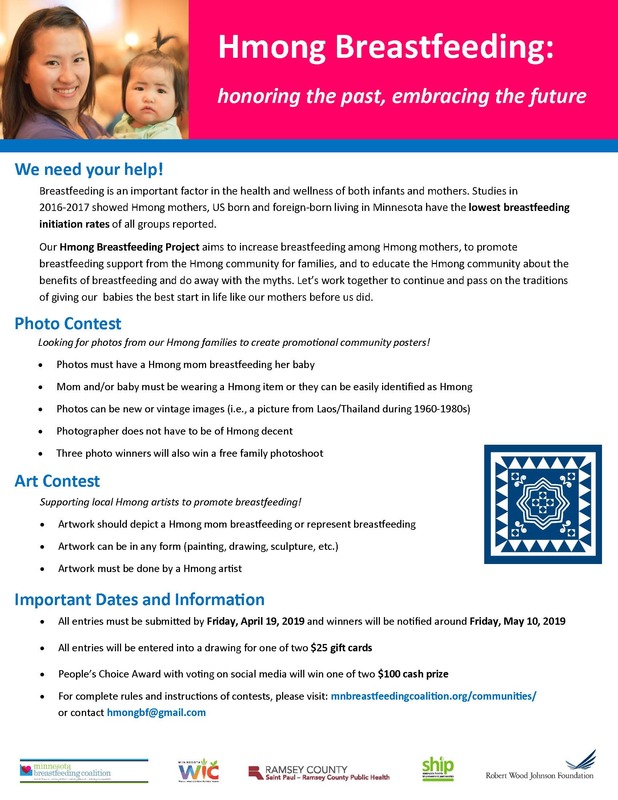 The Minnesota Breastfeeding Coalition is a 501(c)(3) non-profit organization run by volunteers from across the state. All donations to the MBC are 100% tax deductible. Thank you for your financial support. © 2016 Minnesota Breastfeeding Coalition. All rights reserved.